Cesare Barbero, Managing Director and Enologist, greeted me in the tasting room to show me a selection of wines and share some of the history of the co-op with me before we took a tour of the large production area. Cantina Pertinace was founded in 1973 by his father, Mario Barbero. 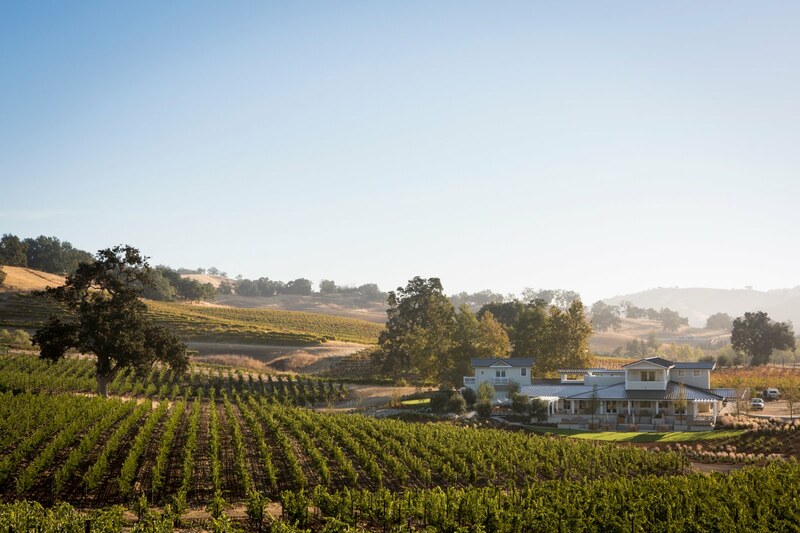 It is a cooperative winery that includes 17 growers from just seven families. They are a tight knit group who have worked together for years. Their goal is to make high quality yet affordable wines from the region. The winery is located in Treiso in the Langhe and produces about 650,000 bottles per year. The name Pertinace is the name of a Roman emperor who was born in the area in 126 AD. He became ruler at 73 years old after many successful years as a general in the military. He was chosen for his honesty and strength with the hope that he could stop the corruption that existed throughout the Roman empire's government. Unfortunately, he was killed after 87 days in office. The name was chosen because it signifies a person who follows his dreams and ideals with strength and passion. We went back to the tasting room and Barbero poured a few of the wines for me while we waited for our ride to tour the vineyard areas. 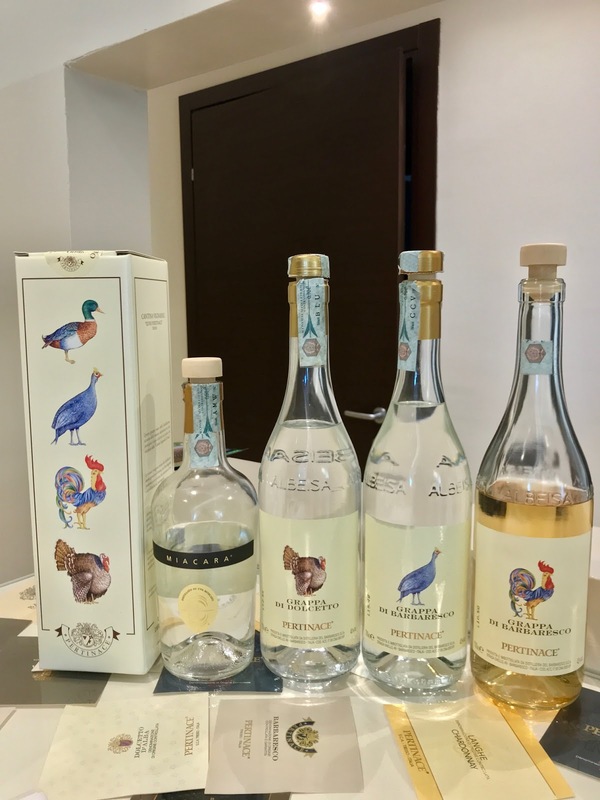 Pertinace Langhe Arneis 2017 - This wine is made from a local white grape and stays on its lees from September until January which adds some weight and creaminess to the texture, it was aromatic, crisp and fresh with floral notes and flavors of pear. 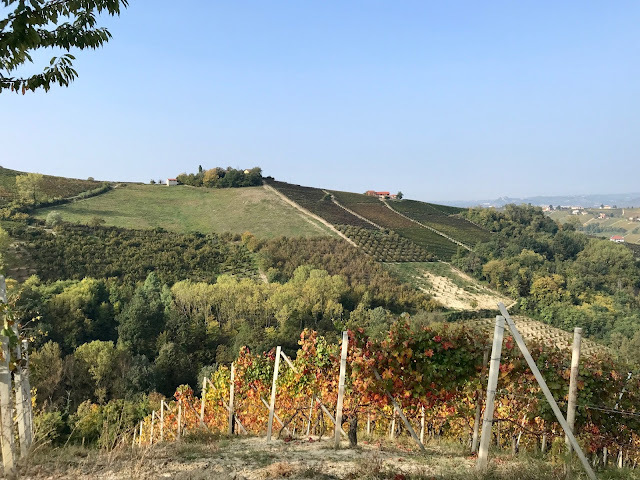 Pertinace Dolcetto 2017 - Cesare Barbero confirmed that this wine is one of his favorite anytime drinkers. 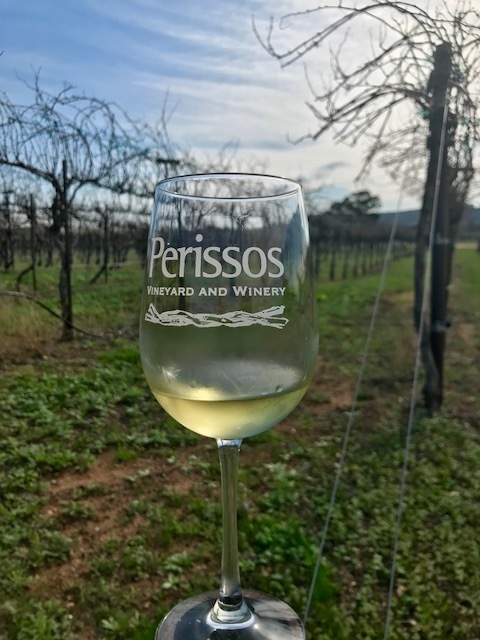 He finds it harder to sell in the U.S as it is a lesser known varietal that many people assume is sweet due to the grape's name. He likes to serve it slightly chilled and added it makes a good by the glass wine for restaurants. The wine is dry and easy drinking with fruity aromas and flavors of black cherry. 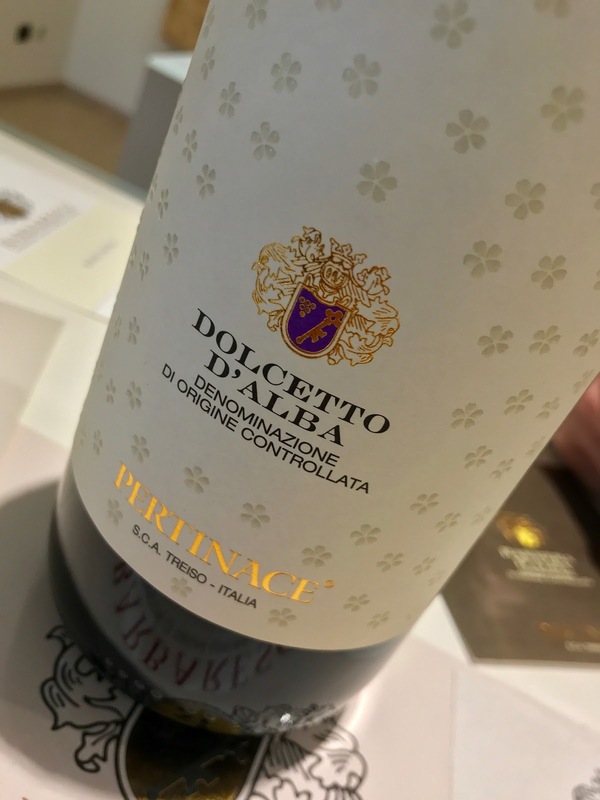 Pertinace Barbera d'Alba 2016 - Round and fruity with plum and a bit of almond, a very fresh and pleasant wine. Our ride arrived and we headed up into the vineyard. Going up was a bit of a thrill ride, I thought our vehicle was going to flip over backwards at one point but it was well worth it for the gorgeous views all around. 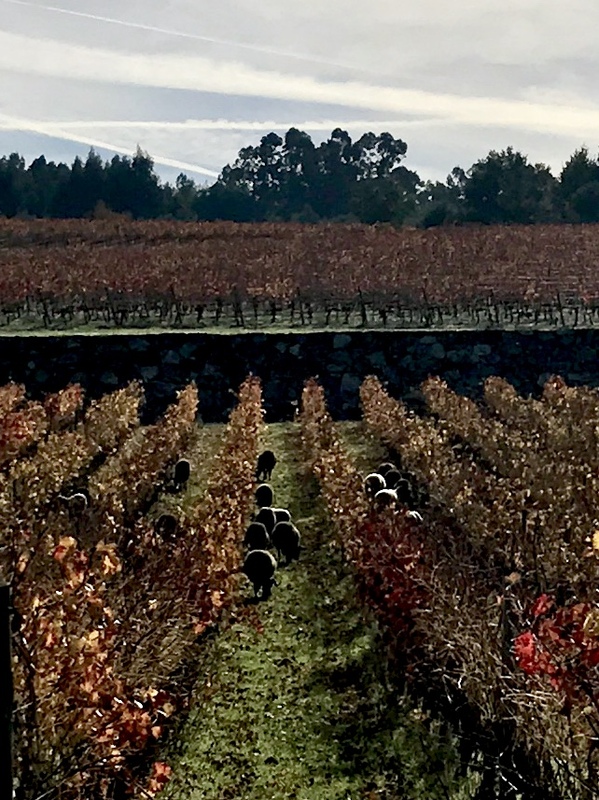 It was a brisk morning in early October in the Marcarini Vineyard, the day started off very cool. 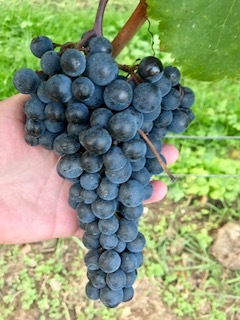 Barbero explained that the leaves had just started to change color a couple of days before, shortly after they harvested. 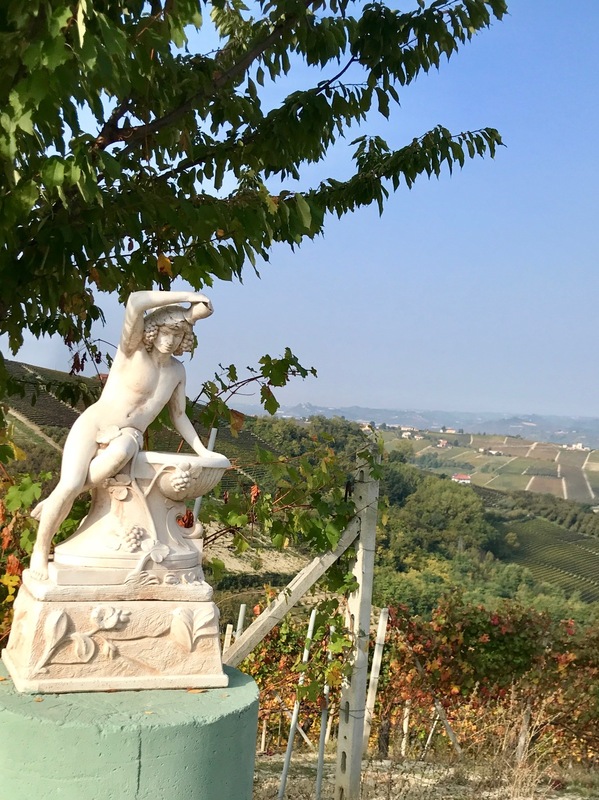 There is a statue of Bacchus, the god of wine, up at the top who watches over the vineyard. We toured through several areas, the views were all spectacular. 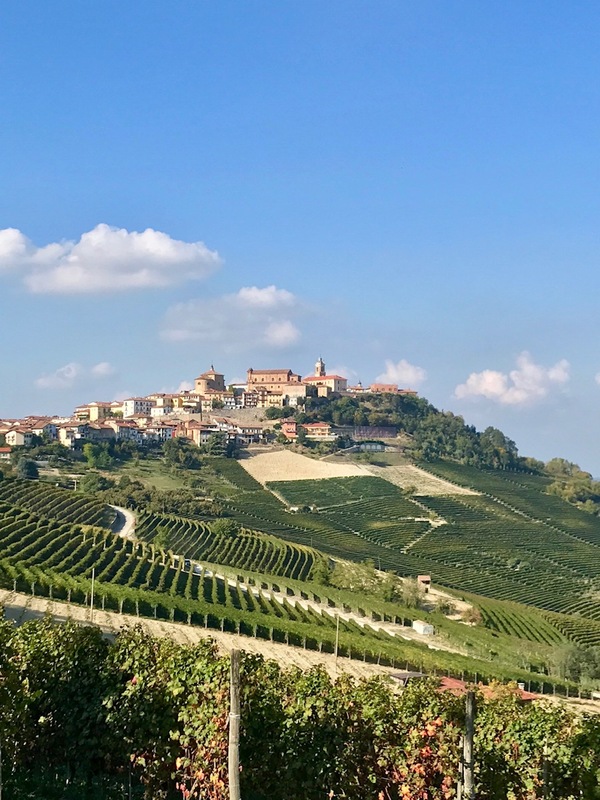 Barbero shared that the group had a total of 90 hectares under vine, primarily Nebbiolo. 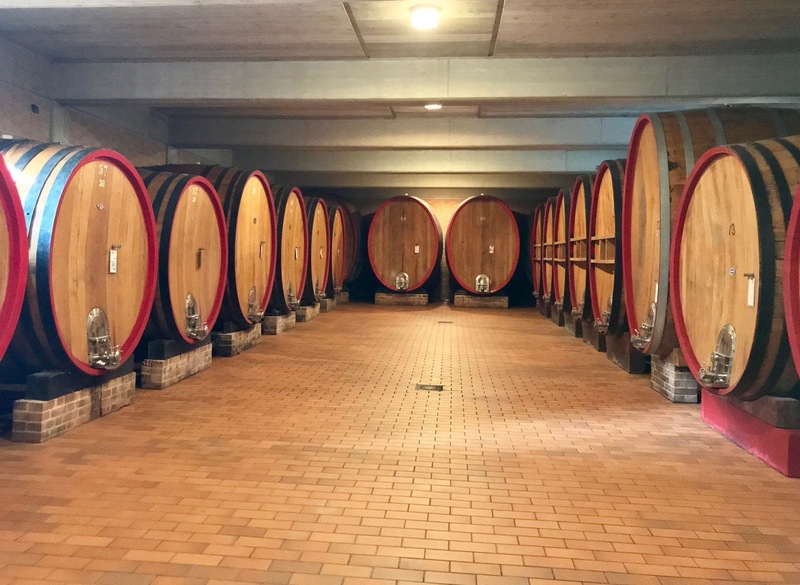 After the tour, we headed back down to the winery to finish the tasting with a line up of Barbaresco wines. Though each wine was made from Nebbiolo grapes grown in the same general area from the same vintage with the same production method, each was unique due to the terroir variations in the different vineyards. Pertinace Barbaresco 2015 - Chocolate cherry aromas and flavors with a a hint of licorice in the finish. 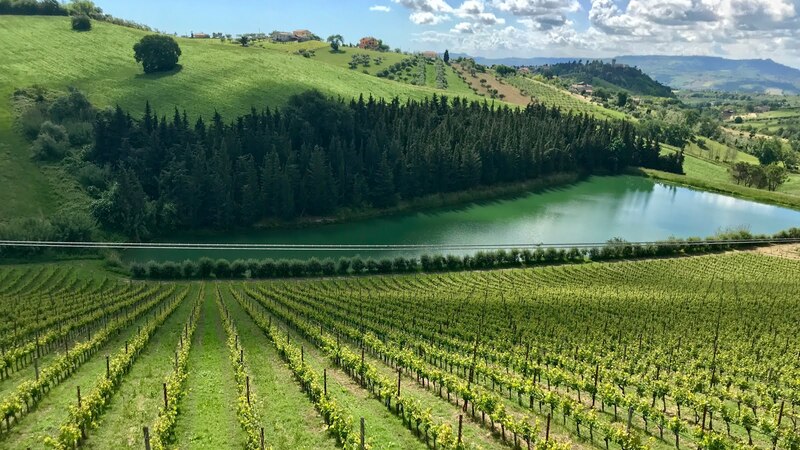 This Classico wine was sourced from multiple vineyard areas and blended to create the most approachable and also affordable wine in the lineup. 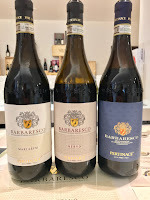 Pertinace Barbaresco Marcarini 2015 - Soft yet still nicely structured, this wine was more elegant and expressive with floral notes of rose and dried cherry with a lingering spicy finish, it was my favorite of the three. 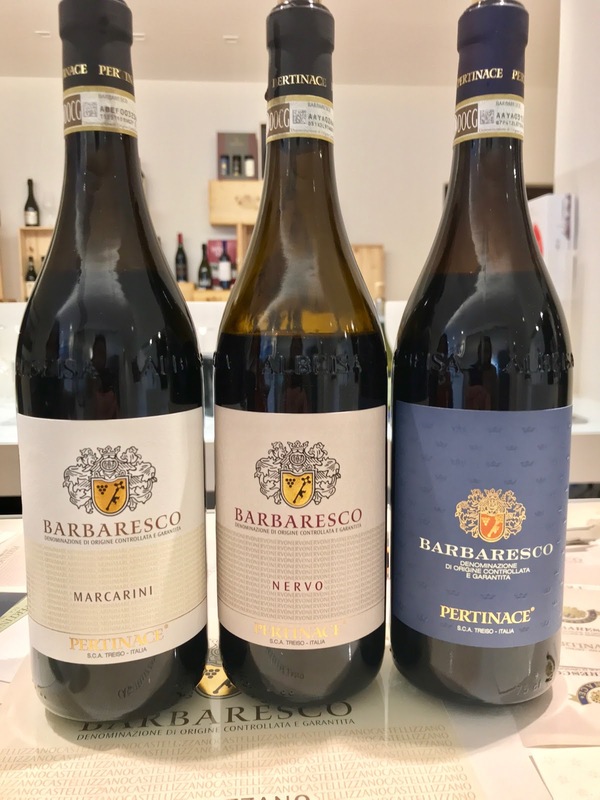 Pertinace Barbaresco Nervo 2015 - More powerful and robust, this wine had the biggest structure with a long life ahead of it. The nose was a bit less expressive than the previous, it was more austere, it had ripe dark berry flavors and had a similar persistent spicy finish. 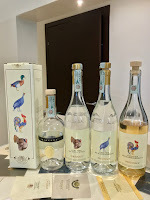 The also have a line of Grappa, all very different in style, the Grappa di Dolcetto was my favorite in this grouping, it was warm, elegant and aromatic. 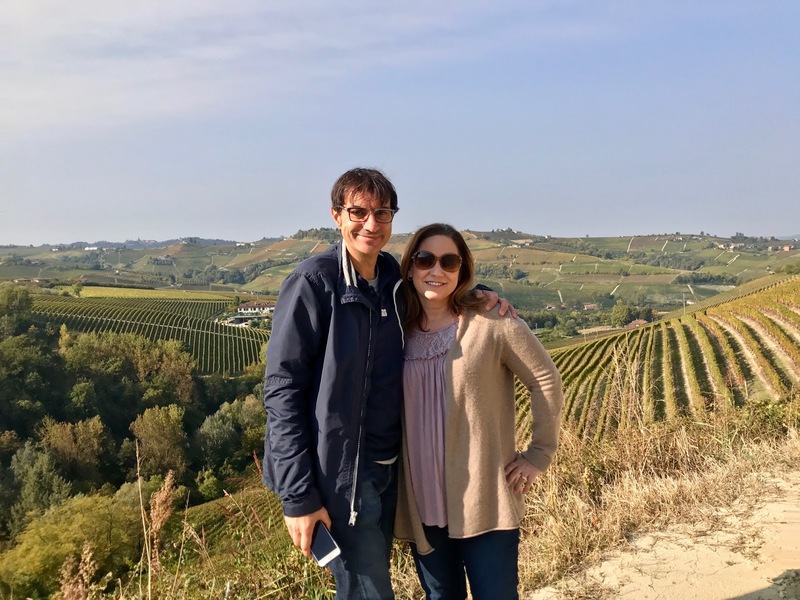 A big thank you to Cesare Barbero for giving me the tour and making sure that I had another fantastic visit in Piemonte.